Brochure printing is one of the most affordable form of print marketing, yet it can produce very effective results for your marketing campaign. Our high quality brochures come in full color. No matter what type of design and objectives you need: Be it square, corporate, booklet, promotional business card brochures, advertising purposes, our professional printing and design team can do a fast and quality job for you . We are located near you in New York City. We do popular custom brochures of different shapes and sizes like mini pocket, 8 pages , 4color, 3fold, square, tri fold and 11x17 folded. We entertain all requests no matter it is wholesale or small quantity order. For local companies with smaller budgets or non-profits that are looking to stretch every penny in their budget, finding a reliable and affordable digital printing company in New York City is a valuable asset. Informational brochures not only benefit the people behind the brochure, but also the audience that reads the brochure because they are learning about a topic or issue they may not have known about before. Below are the few things you need to think through for your brochures. Organization or company name and information is the first thing that should be put in a brochure. It is almost always imperative to identify the people who produced the brochure in case there are questions, comments of concerns over the material. It also serves as a form of branding to put a company or organization name on the brochure. The issue or topic that is discussed in the brochure. Although that seems obvious, simply stating the topic on the front of the brochure informs readers right away and the straight-to-the-point title will help readers determine whether or not the information inside the brochure is for them or not. The information inside the brochure should be thorough and more importantly, correct. Before printing your informational brochures, it is very important to double-check all the facts and statements to confirm they are correct. Information should completely inform the reader about the topic, and if the brochure is too short to fit all the information, companies and organizations should be sure to mention the main points and highlight important facts. Including a section on where to find more information about a topic is also a good addition inside your brochure. The back panel is a great place to list extra resources, web sites, books and even professionals in a certain field for the reader to gather more information. Depending on the nature of the brochure and the organization or business that it promotes, some also include donation forms or surveys. The most important thing to remember is to include the most relevant and necessary information and to include images or graphs to break up the monotony of text. Printing brochures is a popular offline marketing method you can use to promote your company in New York City and beyond. Companies around the world use these marketing solutions to get their company to the next stage. 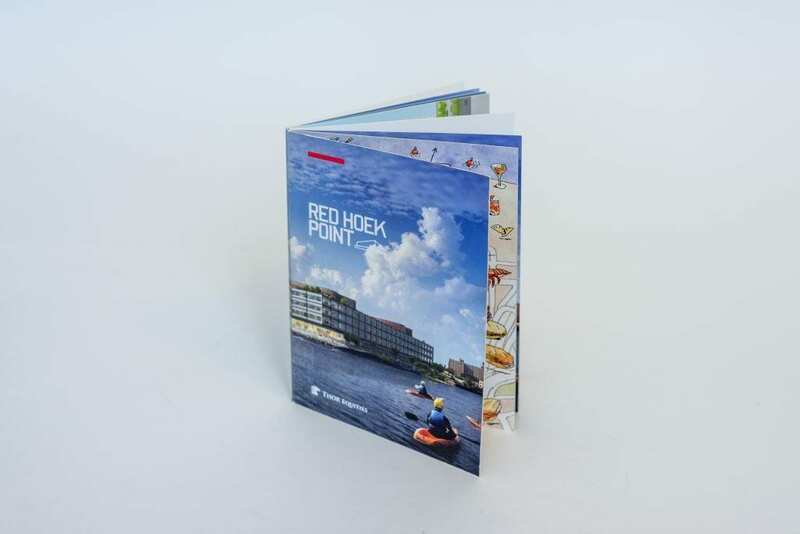 When developing a brochure for printing, it’s important you know the purpose of the content. Every part of printed content you choose should have a purpose. Are you using the brochure to tell your customers of your products and services? Are you using it to promote a new selling about to start? Are you using it to promote your company and recommend customers on new products you lately launched? Brochures marketing is one of the most appreciated methods of giving a professional look to your business. There are wide options in the designing of brochure prints from which you can choose the best suiting one for your business. Contact VSL Print today to get all your options right !